【Quartz Movement Men Watch】The quartz movement with analog for precise time keeping, help you read time easily. 【Walnut Watch】Hardlex glass, walnut band watch and folding clasp with safety, bring you a comfortable natural true feelings. 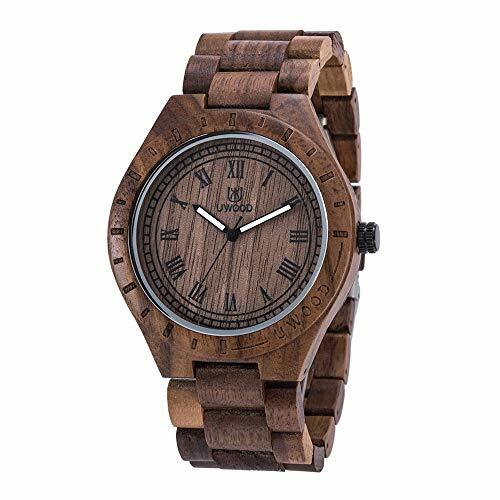 【Business Watch for Men】This is combined with casual and dress watch, retro design well with casual clothing or business suits, you can wear it to work, meet or business activities. 【Best Presents】It's a nice gift for your father, husband, brother, boyfriend, colleague or other friends on Father's Day, Birthday, Christmas, Valentine's Day, Thanksgiving Day, Wedding, New Year, ect. 【Waterproof for Daily Use】30M Water resistant. In general, it suitable for a little wash hand, wash face, splash and rain in daily life, but isn't apply for long time under water activities such as bathing, swimming, diving, snorkeling. If you have any questions about this product by Tayhot, contact us by completing and submitting the form below. If you are looking for a specif part number, please include it with your message.